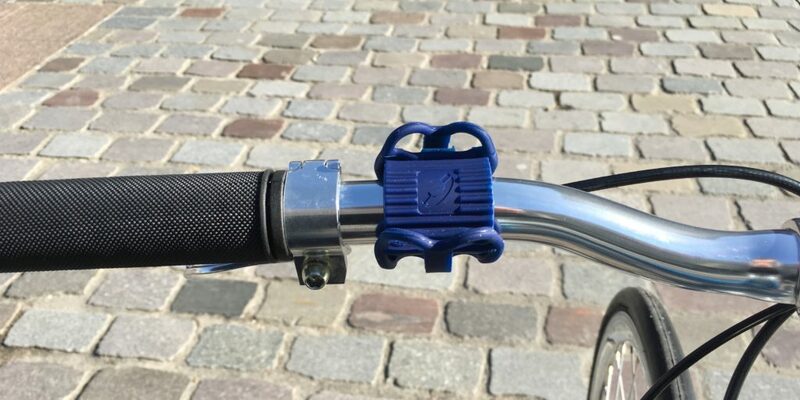 cyclyk - Securely attach any smartphone to any bike. 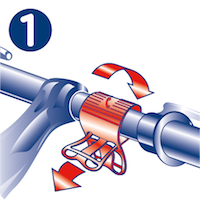 Wrap the CYCLYK around the handlebar, with the logo facing the ground. Pass one end through the gap on the other. 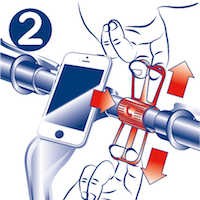 Pull on the four loops to stretch them and slip them over the corners of the smartphone. Once installed, the CYCLYK should appear as it does in the above diagram. The blue and white CYCLYK are suitable for all types of use and especially those with a very large smartphone and a wide handlebar. 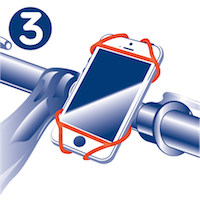 The red and transparent CYCLYK allow you to use them in extreme sports situations or more generally if you have a thin handlebar and a normal size smartphone. CYCLYK is a protected trademark.